Recent sea level height data from the U.S./France Jason altimetric satellite during a 10-day cycle ending June 27, 2004, shows that Pacific equatorial surface ocean heights and temperatures are near neutral, but perhaps tending towards a mild La Niña for this summer and into the fall. "In the U.S. we are still under the influence of the larger than El Niño and La Niña Pacific Decadal Oscillation shift in Pacific Ocean heat content and temperature patterns." Much of the nation's western farmland and forests are really dry as we continue to struggle with a severe 6-year drought. 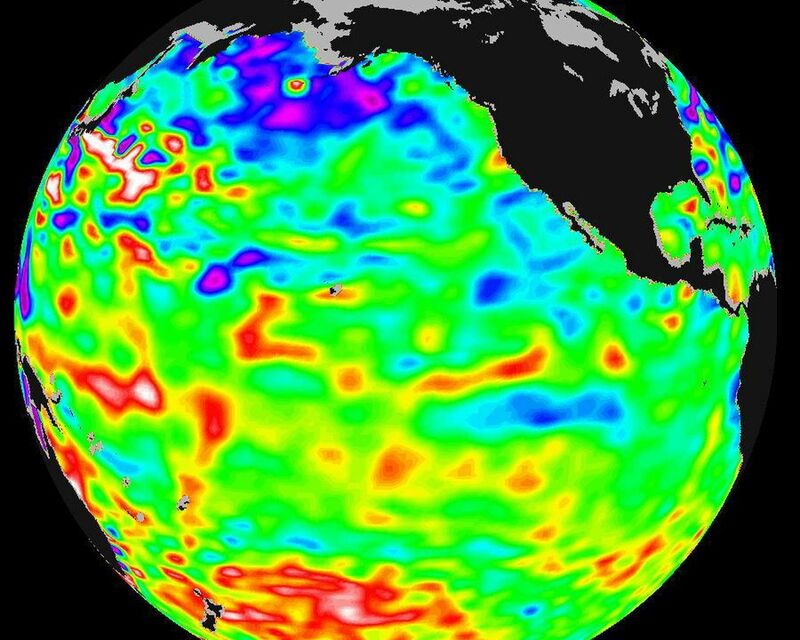 The reality is that the atmosphere is acting as though La Niña is present. 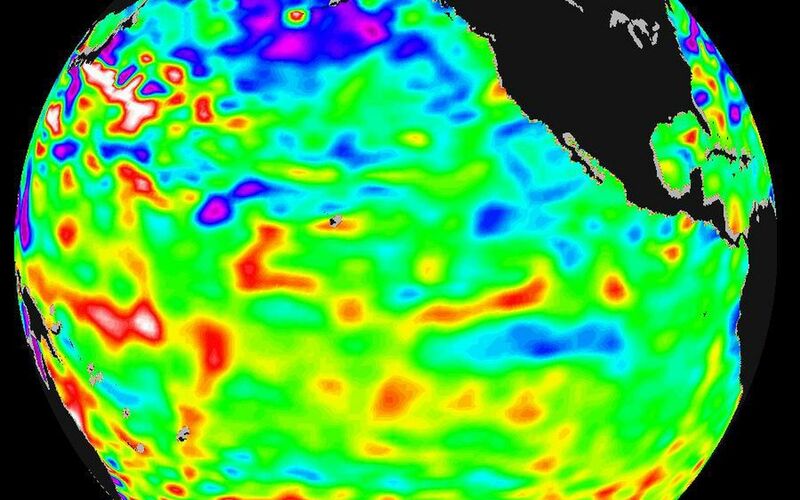 This continuing oceanic pattern in the Pacific and atmospheric pattern over the western U.S. is also a precursor for an active hurricane season for the East and Gulf coasts for our coming summer and fall," said JPL oceanographer Dr. Bill Patzert. 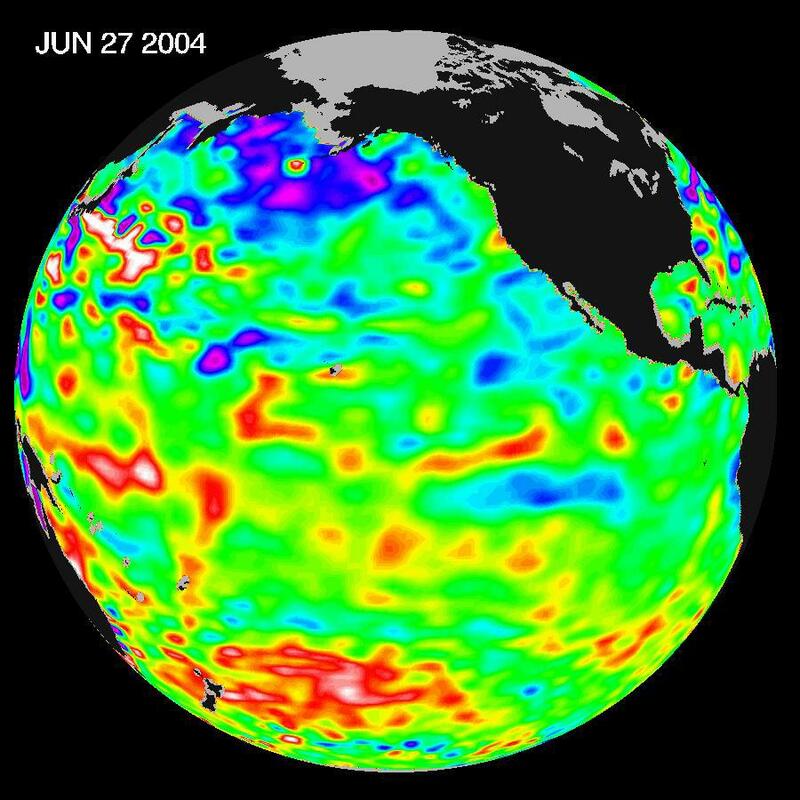 These images show sea surface height anomalies with the seasonal cycle (the effects of summer, fall, winter, and spring) removed. The differences between what we see and what is normal for different times and regions are called anomalies, or residuals. 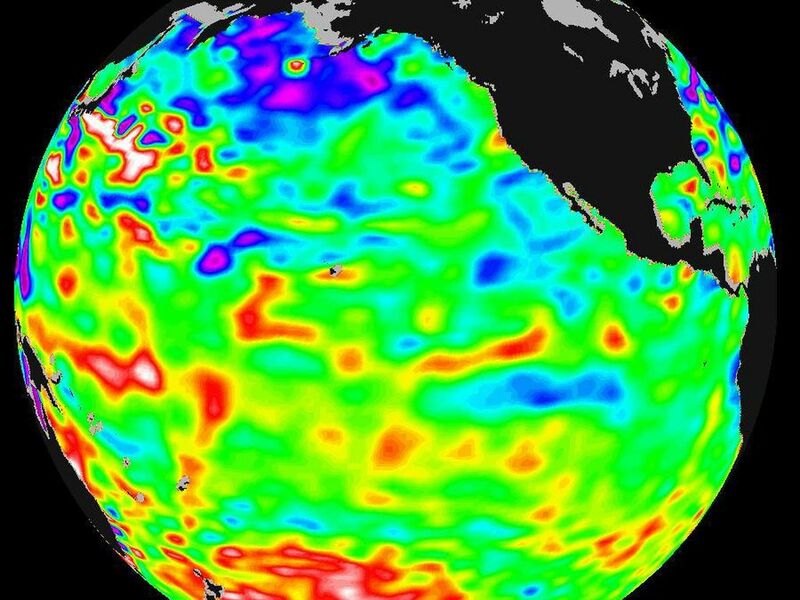 When oceanographers and climatologists view these "anomalies" they can identify unusual patterns and can tell us how heat is being stored in the ocean to influence future planetary climate events. Each image is a 10-day average of data, ending on the date indicated.